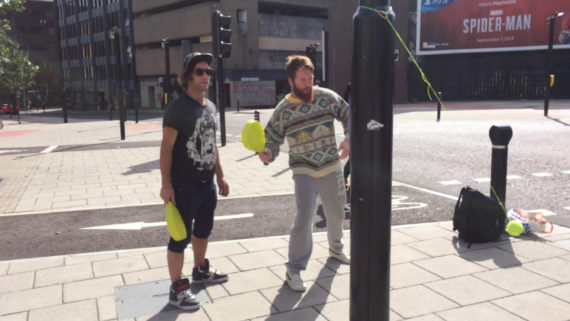 We will be asking the public and anyone who comes down to play a game of Swing-ball Shakespeare on a lamp post outside the Castle Keep in Newcastle Upon tyne. It takes 5 mins to play with another. 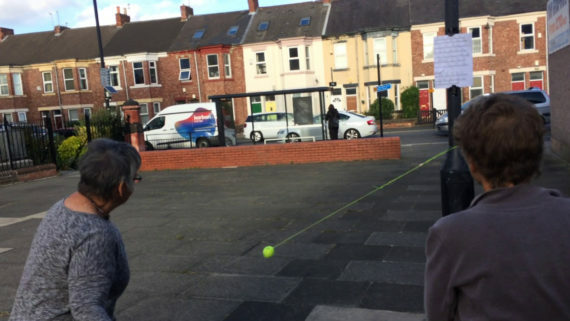 In this game artwork we transform a lamp-post into an impromptu swing-ball game. On the lamp-post is pinned a Shakespeare monologue. participants take it in turn to hit the ball, and say the text, but only hitting the ball on the beat of the iambic Pentameter. All fun, how far can you get. It will be filmed and made into a video artwork and is part of research into game-fulness in participatory. We are also looking for any other chances to play this anywhere, all for research, so if interested get in touch.